Queen of the South boss Gus MacPherson has hailed the new K Park Training Academy in Calderglen Country Park as the way forward for Scottish football. The former St Mirren manager was delighted to snap up the state of the art facility as his new club’s base for a week. Queens were moved from their normal home at Glasgow Green last week due to the Valencia Summer School being staged there. And Gus revealed: “We had been invited up to play a friendly against Clyde, who did their pre-season programme at K Park, and their manager Jim Duffy was raving about the place. “So my assistant Andy Millen and I came up for a look and we were knocked out. 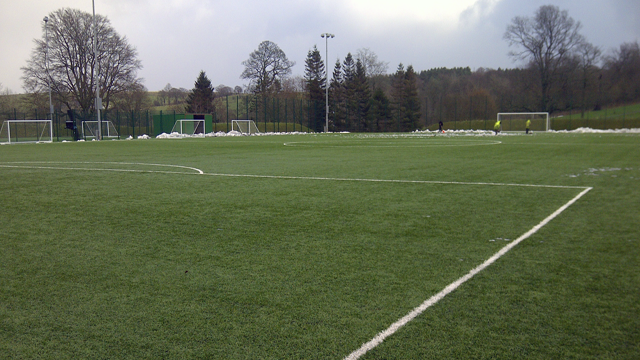 “It’s a perfect environment for training footballers and the surface is superb. Queens were the latest in a host of professional teams to sample the East Kilbride Community Trust facility this summer. Hibs’ pro youth sides played two East Kilbride FC teams, Dumbarton and Motherwell took part in an under-17 friendly and Clyde geared up for the new campaign there as well. 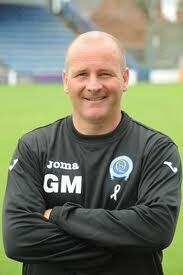 Queens boss Gus added that the facility is a fantastic base for youngsters to improve there skills. He said: “There’s so much talk about why we are lagging behind in skills level when we are measured against other countries. “The answer is a lack of facilities and places like K Park will help us breed kids with better technical ability. “I’m very aware that the presence of the pro teams during the day is just an added bonus. “I know from speaking to people in the East Kilbride Community Trust that every penny goes back into the running of K Park to benefit all the teams in East Kilbride. The national press visited the facility too on Friday for MacPherson’s media conference ahead of the Scottish Communities League Cup clash with Stranraer on Saturday. And K-Park proved to be a lucky omen as Queens triumphed 2-1 to move through to the next round. Paul Thomson, East Kilbride News.